For many evangelicals, this idea of “dominion” is about mastery: Human beings have the right to take what they want from the earth, in terms of natural resources, without regards to how it might affect other species. The biblical world view with respect to these issues is that we have a responsibility to manage and cultivate, harvest the natural resources that we’ve been blessed with to truly bless our fellow mankind. For Pruitt, the need to pursue what the founding fathers intended is more important than ever. “There’s never been more of a threat to liberty, to what we know as the protections that are inherent in our Constitution than what we live today,” he said. 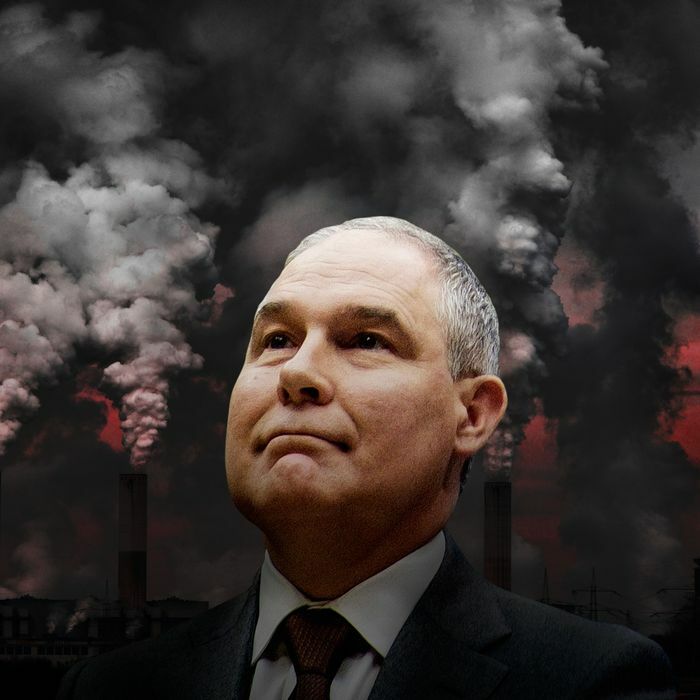 Pruitt is saying, basically, that God is a constitutional Conservative who wants America governed by the strict limited-government principles of the late 18th century, as expressed by “your leaders in the days of old.” This is pretty classic Christian right stuff, insofar as it divinizes reactionary policies (and the culture that created them) and treats the massive, sinister shifts in power and wealth from the weak to the strong — you know, the sort of things Jesus Christ might have objected to strenuously — as incidental to the restoration of a godly past. So whether or not Scott Pruitt believes that the Almighty Creator wants us to despoil the creation with lusty abandon, he pretty clearly thinks deploying government to stop said despoiling defies the divine order. And Pruitt’s in a pretty key position to make sure EPA does not participate in that great sin.